The Italian Cultural Institute of New York has published the exhibition dedicated to Suspended between the events. 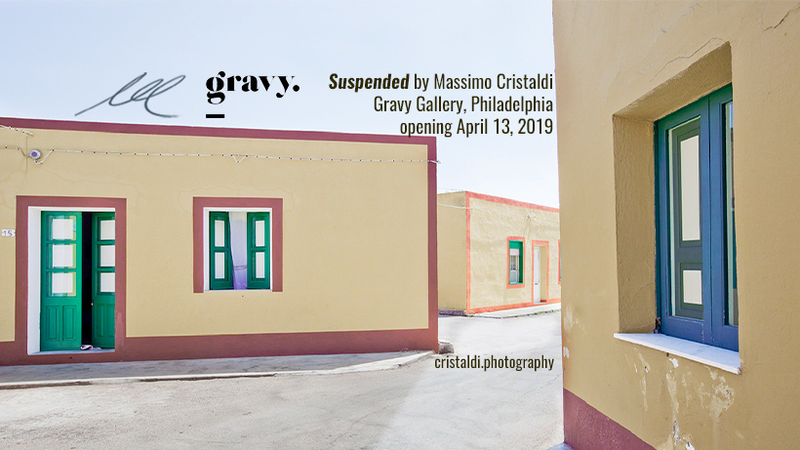 Gravy Studio, Philadelphia 13-27 April 2019 Gravy Studio 910 N. 2nd Street, Philadelphia Gravy Studio & Gallery is proud to present the Suspended, a series of work by Italian photographer Massimo Cristaldi. Cristaldi says Suspended is a photographic sequence exploring what is far from Mediterranean stereotypes. No winking postcards testifying a collective image of lands full of art and nature. No iconic visions of black dressed mamas, godfathers, and religious fests. Visual sketches, are my landscapes where the city is as old as time and continuous with it. 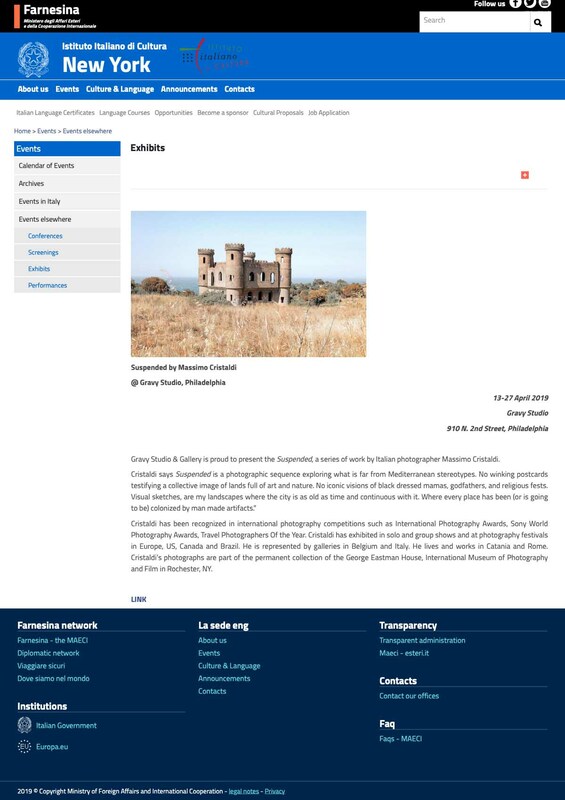 Where every place has been (or is going to be) colonized by man made artifacts.” Cristaldi has been recognized in international photography competitions such as International Photography Awards, Sony World Photography Awards, Travel Photographers Of the Year. Cristaldi has exhibited in solo and group shows and at photography festivals in Europe, US, Canada and Brazil. He is represented by galleries in Belgium and Italy. He lives and works in Catania and Rome. Cristaldi’s photographs are part of the permanent collection of the George Eastman House, International Museum of Photography and Film in Rochester, NY.